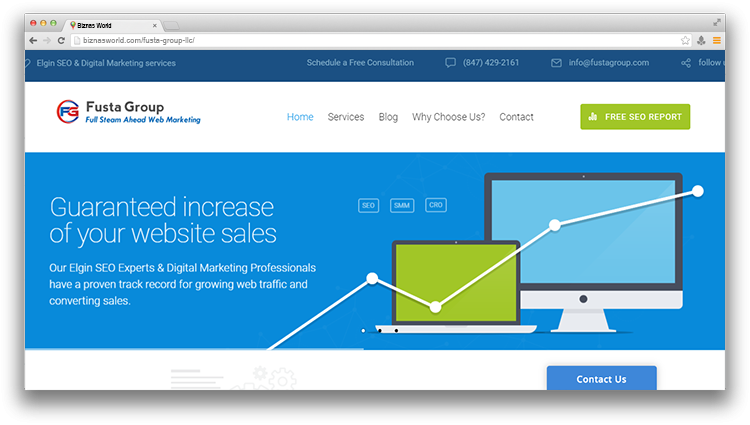 Description Fusta Group LLC, a digital marketing agency based in Streamwood, IL. Helps local businesses drive revenue through marketing. We take custom strategy to every single customer campaign to guarantee that our techniques meet their one of a kind business objectives and destinations. Our Streamwood website design and web development team involved in logo design and development, SEO service, digital strategy, advertising, social media, content management, and email marketing initiatives.